I love it when someone takes an item that we all use everyday and reinvents it to make it more convenient. For example, when was the last time you thought to yourself that you love the design of the everyday ordinary keychain split ring? Probably never… More likely, you swear under your breath every time you break a nail or pinch your fingers when you need to remove or add a key to your keychain. The FREEKEY is a reinvention of the split ring and it’s awesome. Trust me, I don’t say the word awesome very often. What is the FREEKEY? 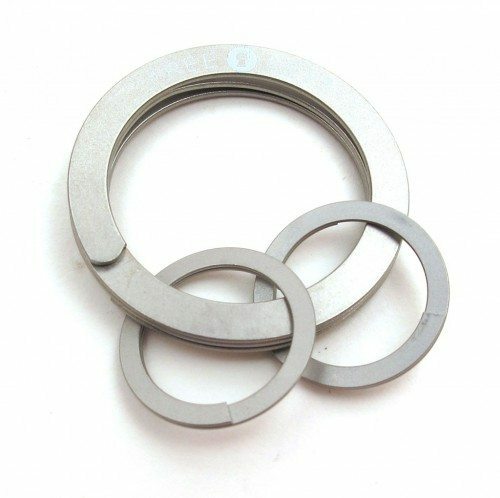 It’s a sandblasted finished stainless steel split ring key holder that has been redesigned to make it much easier to use. In the image above, you see the FREEKEY on the Left and a regular split ring that we all know and love on the Right. The regular split ring has been around for years and years and does its intended job well. The only problem is that to add and remove keys, you have to wedge something between the two pieces of the ring to lift one end. Usually the thing we use as a wedge is our fingernail, which often ends with pain and suffering as nails break or finger tips get pinched. That’s where the redesigned FREEKEY shines. It’s still the familiar circular shape, but instead of the layers of metal being flat, there’s a curved layer that creates a spring effect. Squeezing the FREEKEY in a specific spot on the ring causes one end to lift up. The squeeze takes much less effort than using your nail to pry the two layers apart on a normal split ring. …and slide a new key on or off the ring. Simple! No broken nails, pinched fingers or swear words needed. Or use the included group rings to organize your keys. 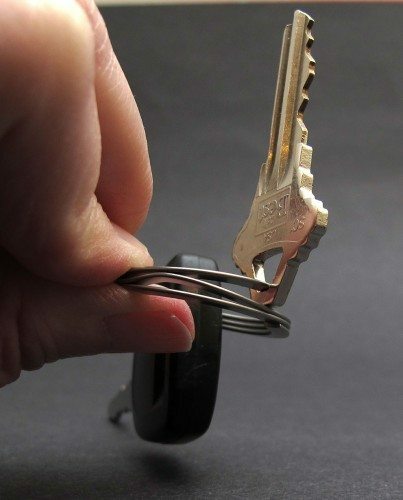 Keep all your house keys on one group ring and all your work keys on another. I absolutely love the FREEKEY and plan to never use an old fashioned split ring for my keys ever again. The only problem with the FREEKEY right now is availability and price. One FREEKEY (with 3 smaller organizational group rings included) is about $9. I know that’s very pricey. But once you use a FREEKEY, I think you’ll be hooked. Here’s hoping that this product will take off in a big way and we’ll never have to deal with those old style rings again. One of those “why didn’t I think of that” moments! idd… and I want one!!! Sweet! I was just mentioning this to my Wife the other week, recalling the original preview you did some months back, I’m in for 2! I kind of want to wait until they offer them in colors, but that could be a while. $9 wouldn’t be a bad price if it were made with titanium. Great little invention! One question inspired by one of your photos, though…. In that last image with the Mazda key & the 3-holed house key, the house key’s opening is kind of small (as I’m sure various other keys might be). Will that key flow freely around the entire ring, even the thicker spot with the leverage space? Or, could a frustrating little jam occur? @Sandra So far none of my keys has jammed. 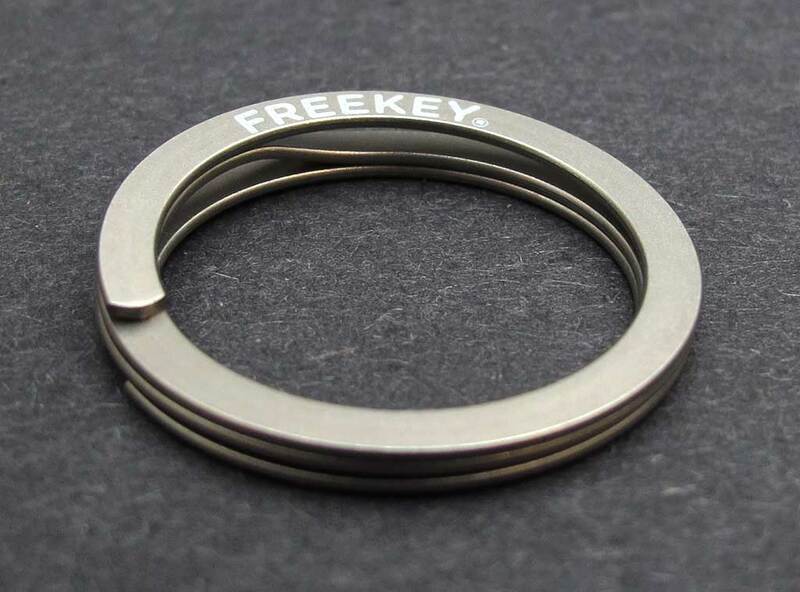 Included with the FREEKEY are 3 small flat group rings that can be used to organize your keys. So if you have a key with a smaller hole, you could attach it to one of the group rings and then put the group ring on the FREEKEY. @julie Ahhh… that makes total sense. Now I’m off to see if anyone in Canada sells these. Thanks, Julie! Hard to tell from the photos; Is removing the keys just as easy? Brilliant. Really love when they take an everyday item and re-invent it. Why didn’t I think of that? How can I get two of them? @Tom I removed your phone number and email address from your comment. We don’t sell the FREEKEY here on The Gadgeteer. If you want to buy 2 of them, then order them using the Fenix Outfitter’s link provided in the post. You’re right, Julie, those key rings are a pain for all. I struggle a little more with them because my arthritic fingers. I ordered 5 as soon as I read this. Thanks! @Cyrano and others please let us all know what you think of them once you get them. I want to know if you like them as much as I do. $9 for a key ring? Huh? Am I missing something here? 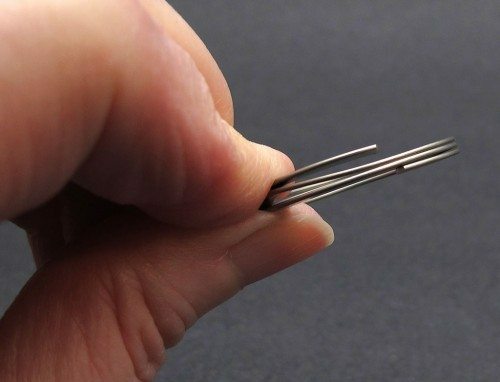 Maybe this is a needed item if you have extra cash, but if not, you can open the “old” keyring with the edge of a key, certainly not your nails. I can see the usefulness of this new model, and it is appealing in design, but I guess there are a lot of other $9 items I want before I invest in a keyring. But thanks for the tip as I love new things! Great product, do the smaller group rings open as easily as the larger ring? 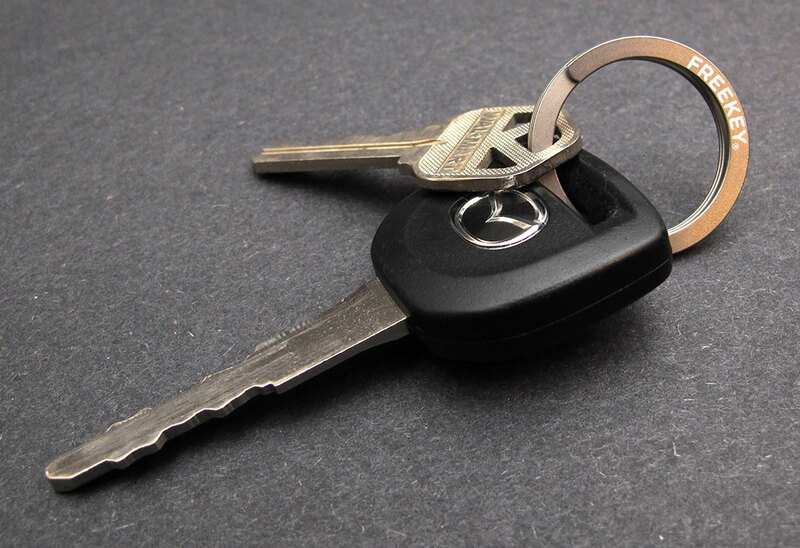 These would be great in a situation where keys are added/removed frequently…rental appts/cars etc. Even a good thing to have on a deployment. Can never have too many ways to attach/carry something in a combat zone. Thanks for the review. @Ian I just added a picture to the review that shows the group rings. These small dime sized rings are flat like a standard split keyring and don’t have the FREEKEY spring feature. But, the metal is pretty thin, so it’s not difficult to use your finger nail to pry the layers apart. I got one of these! Love it! Bought it in a store in Sweden. The smaller rings is the thing! I group them with homekeys, bike-keys and workkeys. So when I’m out drinking pints I just slide out the homekeys from the bigger ring and leave the rest at home. And when my wife needs the bike. Just slips off the bikekeys. 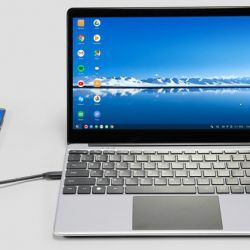 Glad to see this in a review! Looking for mail order in Sweden tough. Anyone? Great news! I just received an email alterting me to the fact that Exotac Inc. is the new US distributor for the FREEKEY. They’ve setup a website and are selling single FREEKEYs and FREEKEY systems (a FREEKEY with 3 group rings) for $4.49 – $6.49. You can pre-order right now, with shipping due on 6/11. So if the three group rings are so easy on the nails, why bother with the single Freekey? @Stan the group rings are too small for all your keys. They are only useful if you want to organize different sets of keys. I personally don’t use them. I just put my keys on the FREEKEY. These are awesome gadgets! We now have the SINGLE FreeKey in stock. By the way, if needed, you can put a slit ring on your keys. Then you have a larger hole to add the keys to the ring. Thanks to all of you for making these a HUGE success! 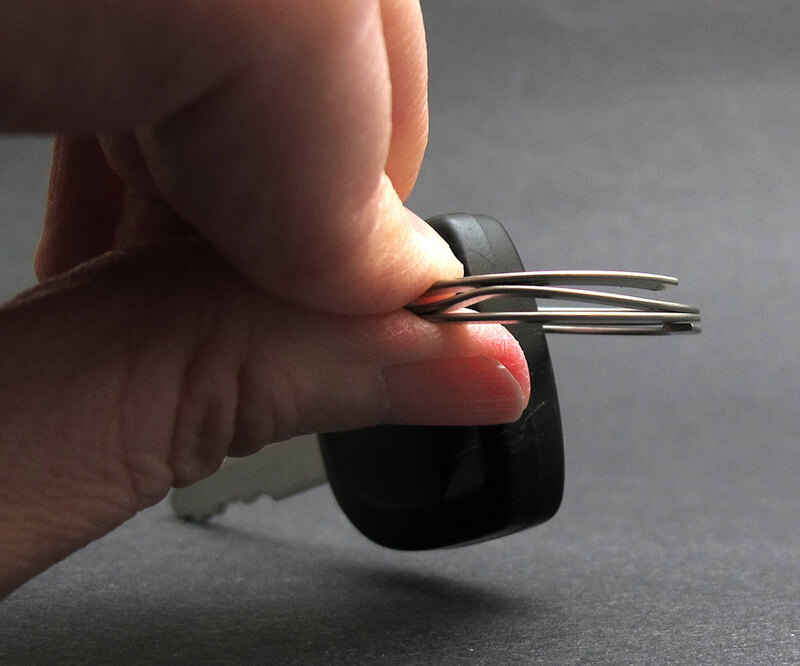 Sheesh…I’ve been using wave springs for years, even done this very thing from time to time…Who’d have thought to market it as a key ring and win a design award for the thought?